People love to tell you how dangerous it is to run a moonshine still and how you’ll either cause an explosion, start a fire, or go blind. The truth is that there’s a VERY slim chance of any of those things happening, and I’ve got the research and statistics to back it up. First off, I’m obviously talking about LEGALLY making moonshine, and this also includes distilling essential oils, fuel alcohol, water, vinegar, etc. I’m not encouraging anyone to break the law here. But I am encouraging anyone reading this to think about WHY home distilling is illegal and to consider whether the reasons for it being illegal 100 years ago are still applicable today. Can an Alcohol Still Cause a Fire or Explosion? The answer to this is similar to the answer to the question, “Can a stove or an oven cause a fire or explosion?” Because although catching fire is technically a possibility in both of these examples, the cause of the fire isn’t because of the equipment: It is caused by a careless person. Yet, there are stoves and ovens in pretty much every house, apartment—even in campers and RVs. A different study called “ Human Behaviour Contributing To Unintentional Residential Fire Deaths”, conducted by the New Zealand Fire Service, looked at all deaths caused by residential fires between 1997 and 2003. No deaths were caused by fires started by distillation equipment. The top 3 causes of fires in this case were caused by unattended cooking, careless smoking, and unattended candles. It’s also important to mention how moonshine stills have evolved over the years from this to this, in addition to now being able to use the safer option of electric heat instead of gas heat. Back in the day, pressure cookers and turkey fryers, which are sealed and require pressure relief valves, have been used for distilling. If there’s nowhere for the pressure to go, then yes an explosion CAN occur—but that doesn’t have anything to do with distilling itself. That’s a problem with people incorrectly using pressure cookers or turkey fryers, which weren’t invented for being used for distilling anyway. If used properly, even turkey fryers and pressure cookers build a pressure of only less than 1 PSI. Additionally, today’s moonshine stills are designed to be open to the atmosphere at all times, eliminating the risk of explosion. If you look at a Brewhaus moonshine still as an example, the pressure is actually relieved out through the condenser. Can Home Distilled Moonshine Make Me Go Blind? This myth goes way back to moonshiners during the prohibition age. 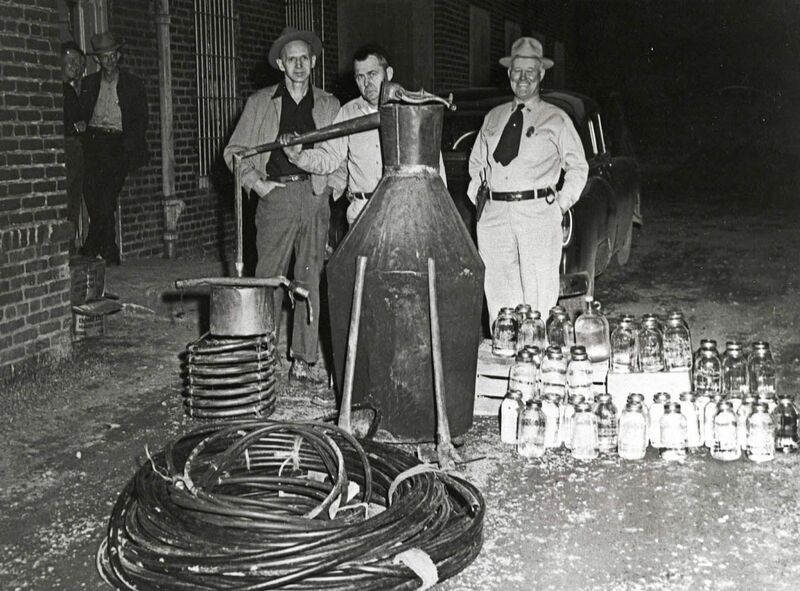 Back then, bootleggers would actually ADD methanol (methyl alcohol—the stuff that CAN make you go blind) to what they’d already distilled in order to have more moonshine to sell. For them, more moonshine = more profit, so they didn’t really care what people were drinking as long as they were buying. Nowadays, home distillers shun the idea of adding methanol to their distilled product because they’re trying to make high-quality, craft spirits that they want to drink themselves—and NOT sell to make some extra cash. Methanol DOES naturally exist in most foods and beverages, including fruit and vegetable juices, soda, and wine. But this is in small amounts, which doesn’t put your health at risk. If it did, then you’d want to stay away from orange juice: One liter of orange juice can contain more methanol than TEN liters of bourbon. In New Zealand, the land of legal home distillation, there has been absolutely ZERO cases of methanol poisoning reported from consuming home distilled spirits. I’d love to see this craft legalized one day, just like homebrewing and home wine-making. The only way this is going to happen is if we let people know that using a home still to make your own moonshine is safer than we’ve been led to believe. If you have questions about this, ask us on Facebook. And SHARE this article with your friends and naysayers. Let’s reduce the stigma of moonshine together.